The holiday season for anyone who has recently lost someone close to them can be heart-rending. 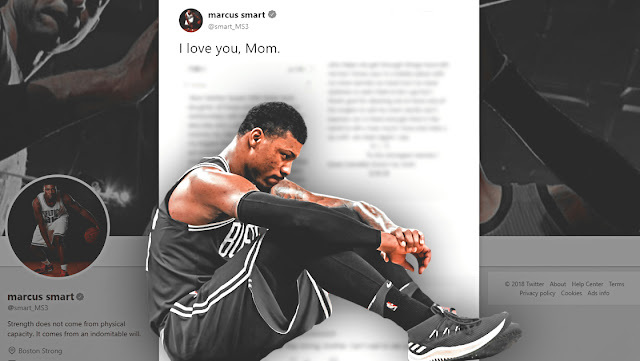 Marcus Smart lost his mother Camellia, to cancer on September 16th of this year. I lost my mom, Louise Lane, to cancer when she was 46 years old and I was 22. More than half-a-century later, it still hurts. The information of Marcus going to the Celtics practice facility to talk to his ailing mom does not surprise me. It is a great story. Camellia will never get to see her son's greatest accomplishments, but she is the reason they will occur. Marcus has a passion for the game, which recently has started to take off. That passion was not plucked out of thin air. That part of her remains with him as he plays the game he loves. We will continue to see the passion, but the pain will be hidden. It never goes away.